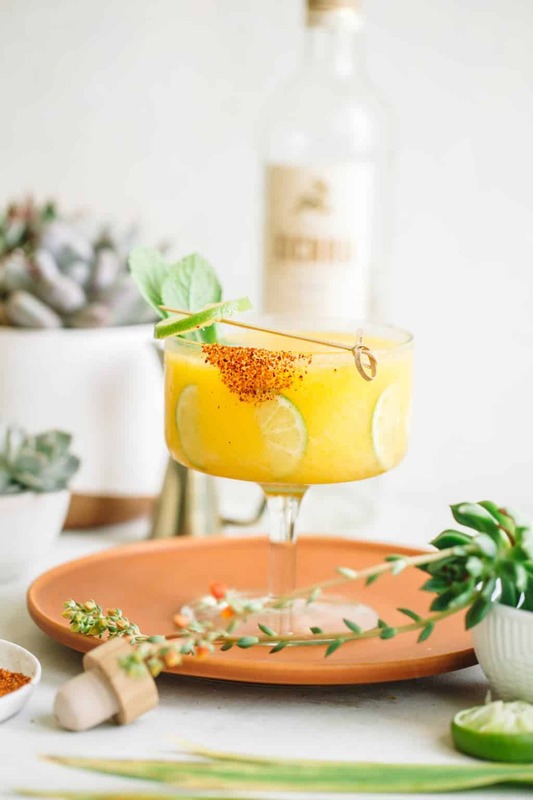 Frozen mango margaritas with a spicy chili rim! A frozen take on a classic margarita! A perfect summer cocktail recipe for parties or a crowd!